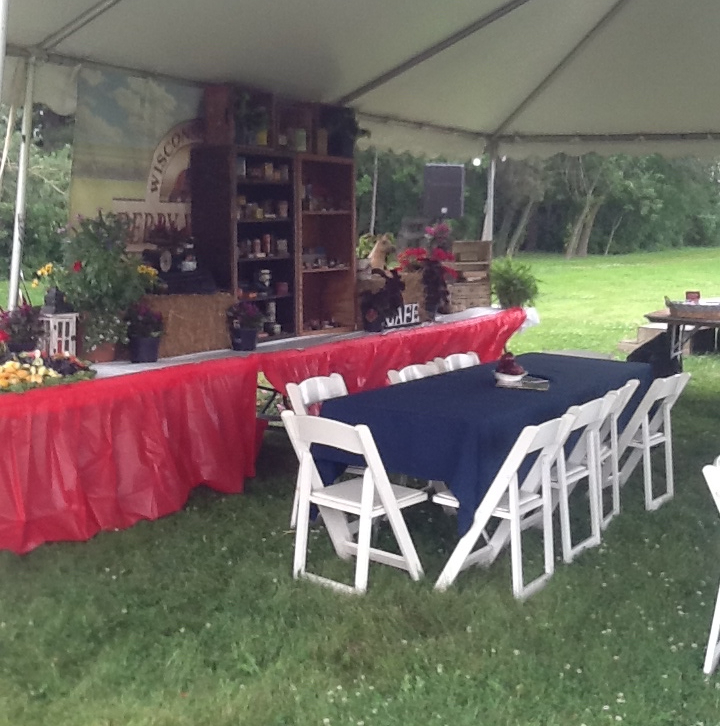 Annali-Brookwood Farm was a perfect location for the one-day event. Photo Andrew Ryback. 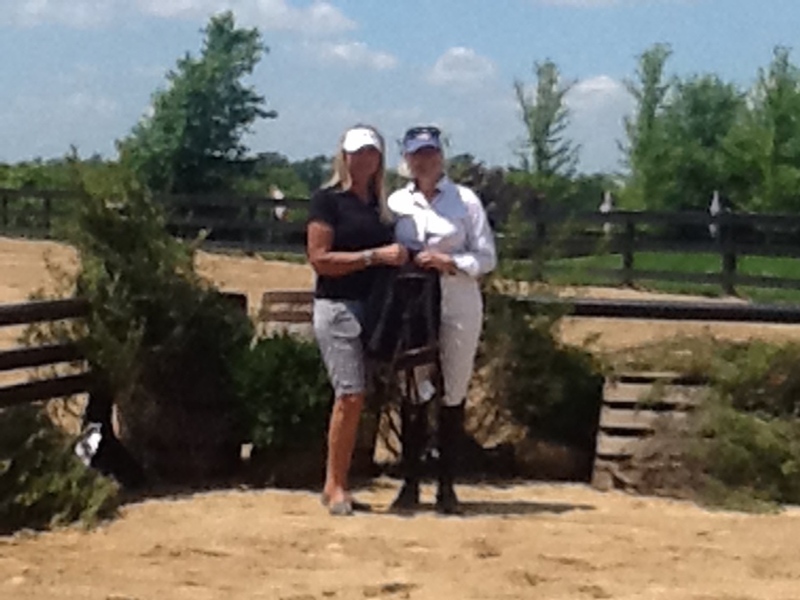 Antioch, IL – July 25, 2015 – The second double point Chicago Equestrian Hunter Derby at Annali-Brookwood Farm was a great one day event, which gave riders a leg up in their derby skills and allowed them to jump up in the series standings. The one-day event offered a ticketed warm up and derbies at 2’, 2’6” and 3’ heights. 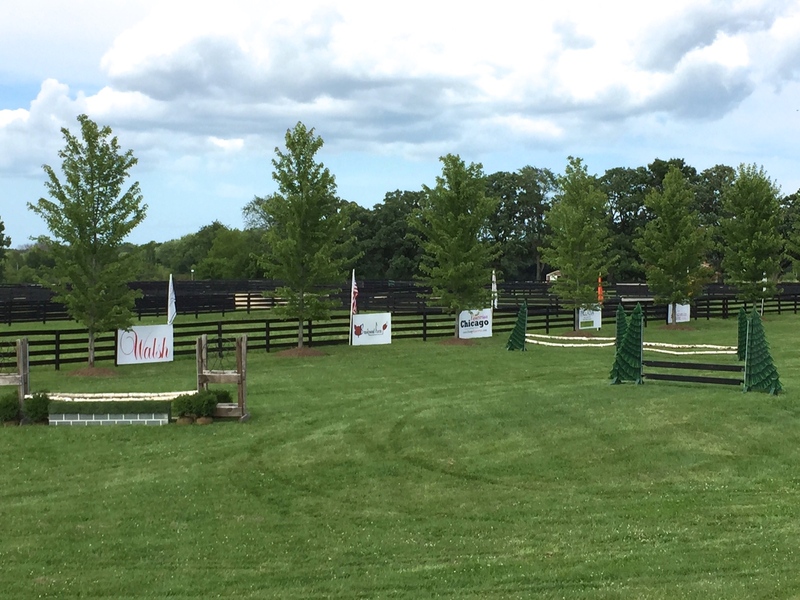 Following the derbies was a USHJA Judges Perspective Clinic, where riders could go over the judge’s card with the judge, Diane Carney, USEF HU/EQ/JP licensed official, and try parts of the course again, learning from the entire experience to tune their derby skills. The course was a simple but beautiful track with the unique ability to jump in and out of the sand ring. Riders started in the sand ring with seven jumps, jumped out of the ring at the corner to jump four jumps on the grass and jumped back into the ring over an elevated log. The course was decorated with evergreens, flowers, bushes and whisky barrels. Awards and giveaways were abundant and the hospitality was fantastic, with a catered lunch by Kevin’s Catering, sponsored by Wisconsin Equine Clinic. 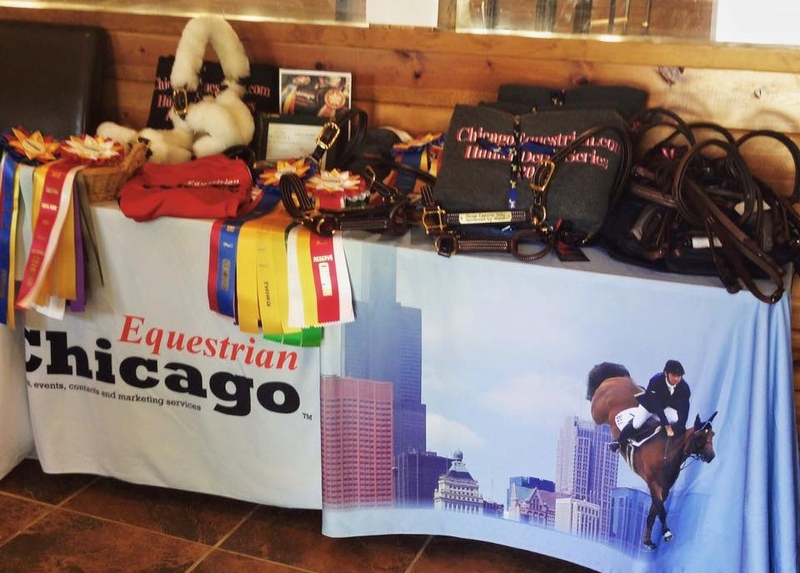 Each rider received a gift bag of goodies thanks to Wisconsin Equine and trainers received their own special gifts from Chicago Equestrian. The derby awards included gorgeous coolers provided by Ann K Hubbard’s Tack Shop, beautiful British and grooming halters from Walsh products and SmartPak gift certificates. 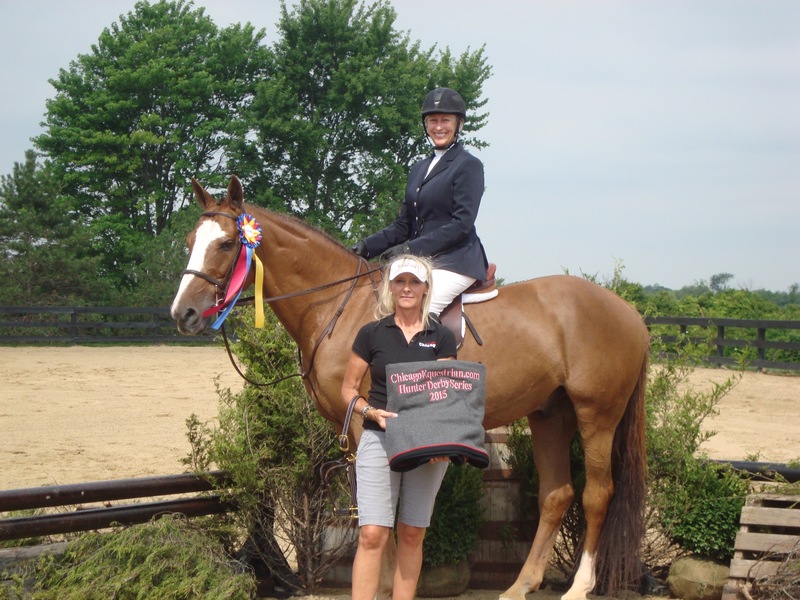 Overall awards were awarded for the Highest Score of the day, which went to Virginia Bartholomay and Naturel, earning them a pair of tickets to the Chicago Hunter Derby sponsored by Canadian Pacific, awarded the best derby of 2014 by the National Show Hunter Hall of Fame. The event takes place September 4-6th at Annali-Brookwood Farm and is presented by Chicago Equestrians for a Cause, who graciously donated the tickets. The pair also took the Highest Scoring Amateur award, which was a backpack with the George H. Morris Huntseat Equitation book and a Smartpak bridle. Robert Nathan was the Highest Scoring Professional. Photo Chicago Equestrian. Robert Nathan and Bambi ASM earned the Highest Scoring Professional award and Kate Wilson with Bonfeur, earned the High Score Junior award and the Best Turned Out Horse of the day, for which she received a coffee table edition of The Performance Horse. Becky Kokes and Isuldurs Heir won the drawing from the ticketed warm up. Some of the day’s awards for Sportsmanship, Best Turned Out, Ticketed Warm up, and Judges Pick, included Chicago Equestrian baseball hats autographed by Jennifer Alfano, Chicago Hunter Derby Posters autographed by last year’s winner, Tammy Provost, copies of Melanie Smith Taylor’s book with her autograph, George H. Morris Huntseat Equitation Books and Chicago Equestrian T-shirts. Virginia Bartholomay won the 2' Derby on Naturel and was also the Highest Scoring Amateur Rider. Photo Chicago Equestrian. In the 2’ Derby, the winner was Virginia Bartholomay and her new mount, Naturel. Best Turned Out was Andrea Juricic and Tinner, Leading Junior was Shawna Mular and Nuts About You and Judge’s Pick was Alyssa Gembra and Kickstart My Heart. In the 2’6” derby, Maria Kogen and True North boosted their lead in the standings with the win. Kogen also won the double point derby at Showplace Spring Spectacular. The pair also earned the Judges Pick and the Leading Amateur Award for the section. Best Turned Out went to Lauren DiTallo on Woodrun’s Red Velvet, the Sportsmanship Award and Leading Junior Award went to Kate Wilson and the Leading Professional was Leah Lang-Gluscic on Viva’s Diamond W.
Lauren DiTallo rode Woodrun Farm's As di De la Hoya to the win in the 3' section. Photo Chicago Equestrian. 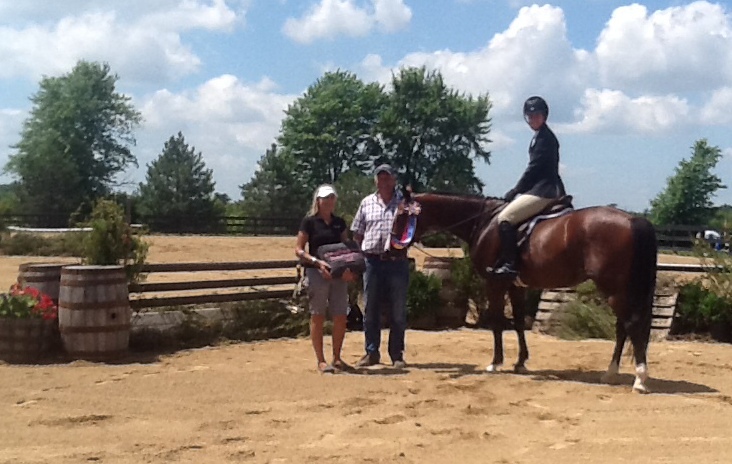 Lauren DiTallo and Woodrun Farm’s As di De la Hoya took home the first place awards in the 3’ section. Robert Nathan and Bambi ASM earned the Leading Professional title and the Judges’ Pick for the section, Kate Wilson earned the Best Turned Out and Leading Junior Award. Kate Wilson was Best Turned Out Horse of the day and Highest Scoring Junior Rider. Photo Chicago Equestrian. The next double point derby event is The Wisconsin Equine Derby Weekend presented by Old Seoul Equestrian, August 14-16th at the Washington County Fairgrounds in West Bend, WI. 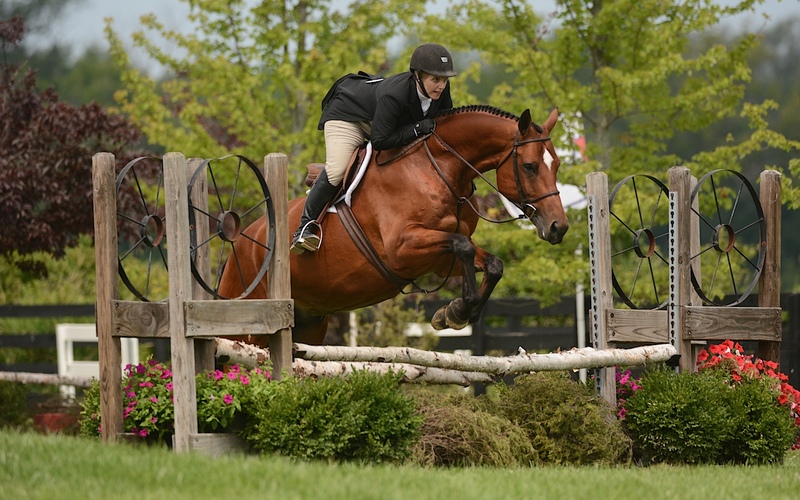 The final double point derby takes place at the IHJA B Finals at Ledges Sporting Horses in September. Series awards will be given out at the completion of the final derby and include jackets from G4 Marketing, shipping halters from Walsh Products, coolers from Ann K. Hubbard’s Tack Shop and $200 Devoucoux gift certificates. 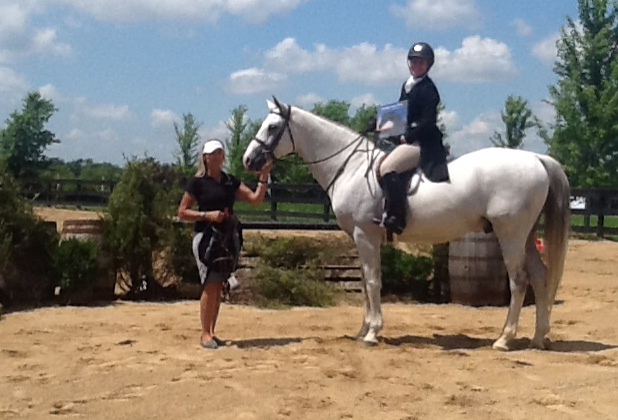 Showplace Productions offers single point Chicago Equestrian Derbies monthly. For more information on these, visit www.Showplaceproductions.com. 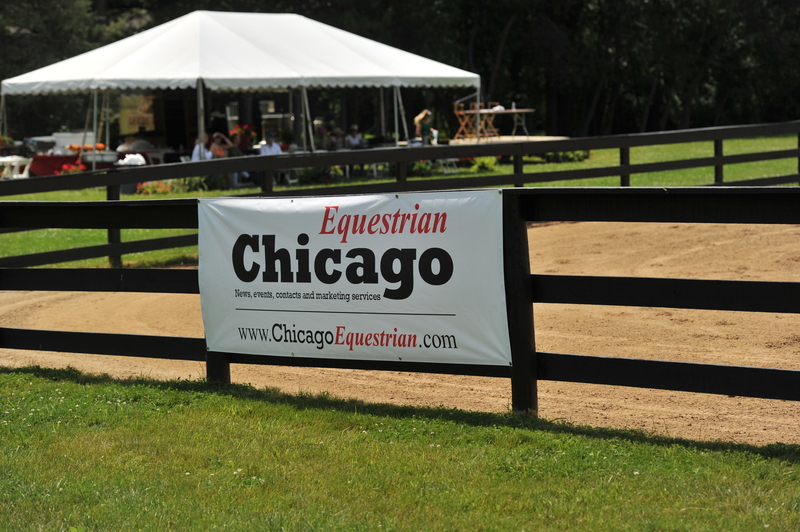 For current standings of the Chicago Equestrian Derby Series visit www.ChicagoEquestrian.com in the Around Town Section..
For more information on the Chicago Equestrian Derbies, email info@ChicagoEquestrian.com. 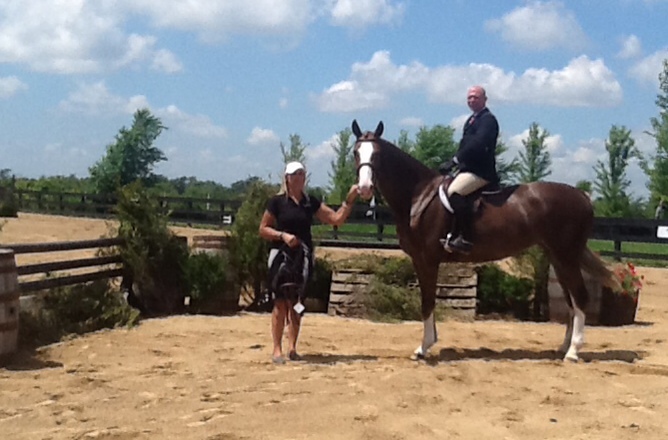 Annali-Brookwood Farm will host the George H. Morris clinic November 27-29, 2015. Auditors are welcome. Photos are copyrighted by Chicago Equestrian and may only be used in relation to this release in it's entirety.